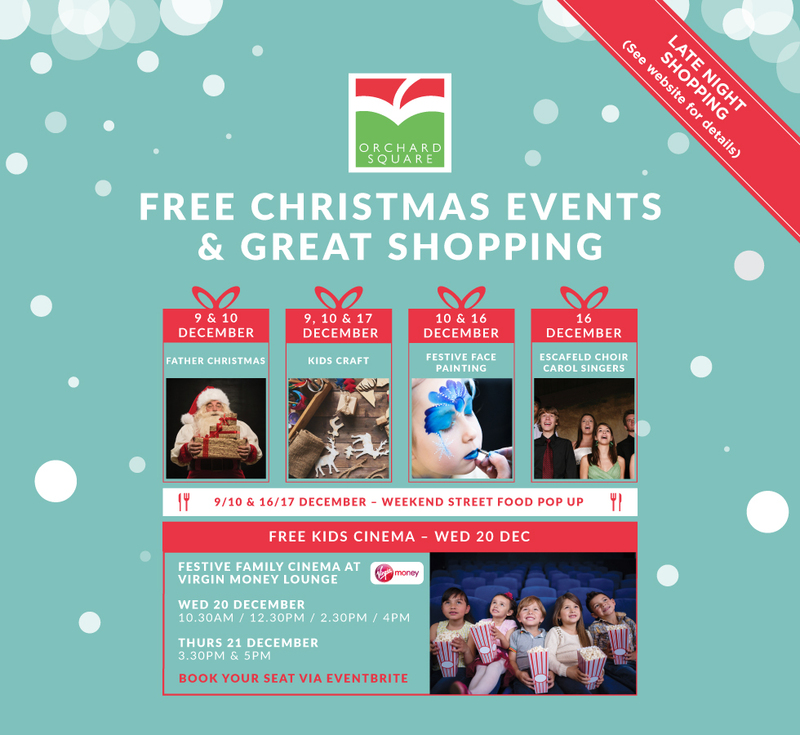 In addition to our great shops and cafe’s, we have lots of FREE festive fun at Orchard Square this Christmas. Craft, Cinema, Santa and more. Take a look at the activities below and visit our Facebook Events page HERE for more details. Secure you seat at the family cinema sessions via Eventbrite HERE.